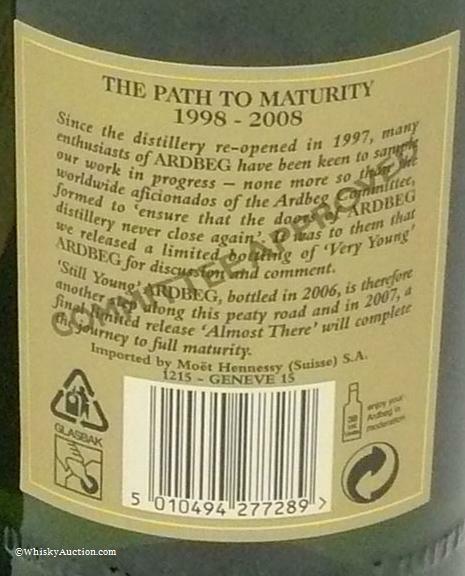 These didn't sell too fast, and they were "Still" available at the Distillery and several retail outlets when this page was created in May 2009. One of the best bargins at �29.99 for a Cask Strength 8-year old, and I believed these would be gone from the "Old Kiln" shop by Summer '09'. 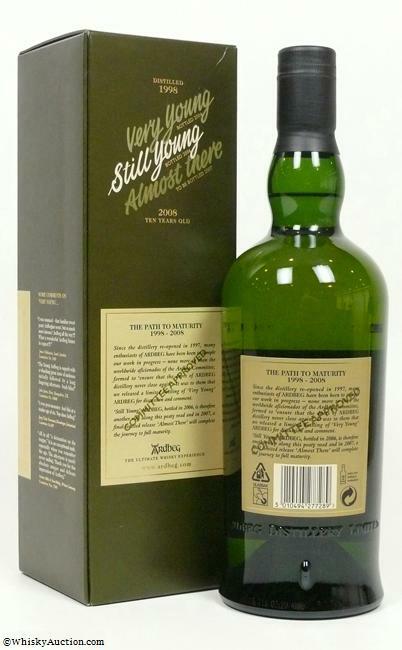 UPDATE (Aug 6th, 2009): The "Still Young" sold out from the Distillery. 2nd UPDATE (February, 2010): I should shut my mouth! 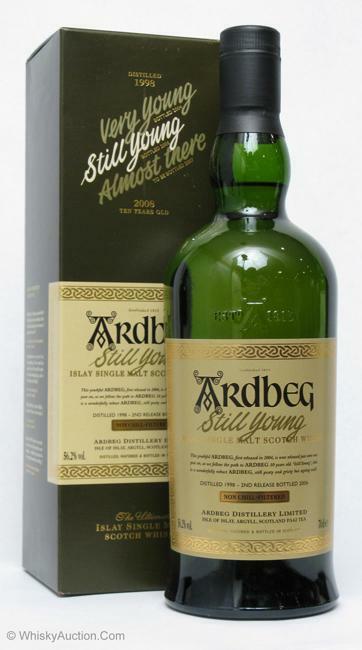 Still Young went back up on the Ardbeg Shop when the website was redesigned for the launch of the Rollercoaster, but the new price is now �50. Does this reflect the auction/collector aftermarket or my wise words here? I don't like either choice!!! Back Label: Moet-Hennessy Suisse Import. 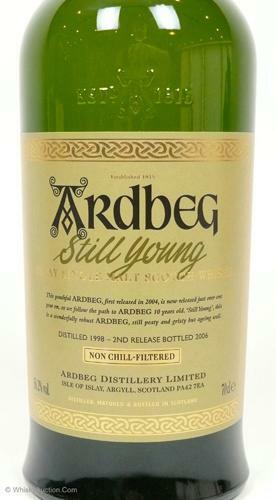 Bottle Codes for the "Still Young", including any other Expressions bottled on the same day or within hours of the "Still Young".